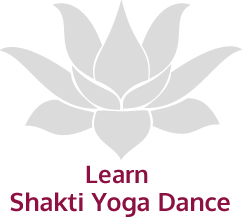 WHAT ARE SHAKTI YOGA DANCES? WHAT WILL I LEARN? WILL THEY ENRICH MY LIFE? WHY TAKE A WORKSHOP? Learn to play with energy. Change your point of view through connecting subtle body layers. Synthesize body-mind connections, expanding your consciousness. Shakti Yoga Dances enrich your nature, transforming the mundane to mystical, logical to intuitive, and chaotic to peaceful. The art of Shakti Yoga Dances is the art of healing body and sorrow. The unique sequencing, the practice of muscle and bone growing resilient and powerful, the musical invitations calling imagination to soar as breath connects ever deeper into movement, demand new life to flow ~ changing who we once were. What we learn to heal within, we then offer another, until the world is dancing and singing. The art of manipulating asanas into dance sequences is the art of becoming a story-teller. Choreographically, we reveal ourselves in fresh, new forms, growing intuition, creativity and joy. The dances move through us, layered in sound, breath, shape, and emotion, and in this rich layering we see life more as a poem than an email; more as a tapestry than a dishcloth. The dance on the mat is the discovery of the dancer within, and as that dancer, YOU are charged by inspirational fires imbued in the movement. Ancient Tantric practitioners knew that body and emotion regenerate and heal with dance. They used its power to call in the divine. We long for tribal joining and shared ritual. We yearn to feel light-filled and passionate. Join Shakti Yoga Dances as she weaves her magic in rituals feeding body, mind, spirit, and emotion.